Columbine. Sandy Hook. Fort Hood. San Bernadino. Aurora. Oklahoma City. Orlando. Unfortunately, I don’t have to explain to the reference to each of the above locales. They are infamous enough because of events that took place there. I don’t want to get political about this…that’s not the point. I don’t care what you do or don’t think about things like gun control…that’s entirely up to you. I have my opinions but right now those are beside the point. I only bring that up to make this point: you won’t solve the problem by making guns illegal any more than making drugs illegal has caused them to be eliminated from our culture. So what is to be done? Why is this happening in our country and in places around the world? I believe it is because we have lost our bearings because we have totally abandoned the only thing that can really change people: the indwelling Spirit and Word of God. Most people of my generation grew up going to church. Our parents went to church…and took us with them. But then in the ‘60’s and ‘70’s, there was a backlash against any kind of authority, any kind of control. My generation was a part of that, too. When truth became relative and defined by the individual instead of One who truly has Authority, all things became possible. Parents (including those of my generation) began to turn away from church, from the 10 Commandments, from the teaching of the Word…and we made our own truth. So, if gun laws and drug laws won’t solve the problem, where is the answer to be found? 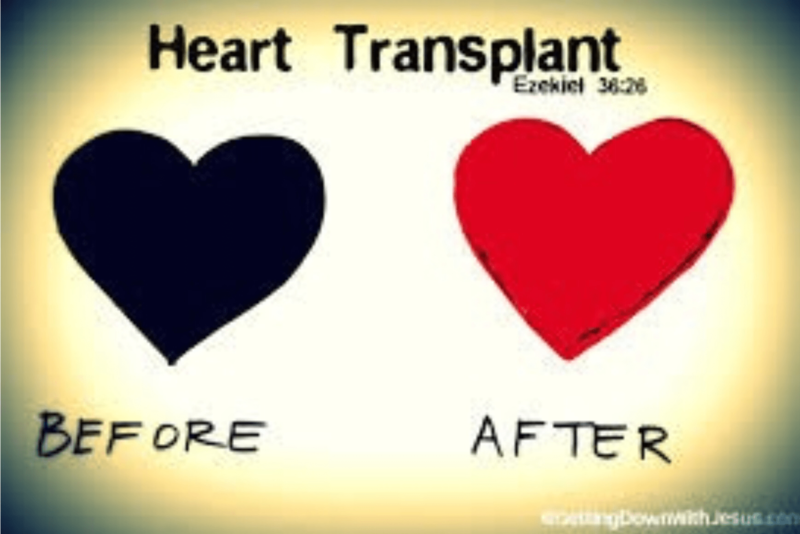 It is in changed hearts…change from the inside out. If only we could go back to when values like truth, integrity, respect for others regardless of their level of authority, the Golden Rule and morality were taught to our little ones, I believe the future could look different. But it won’t happen by passing laws. Ask Israel how the Old Law worked for them. Even Paul says it: laws only provoke sin – they don’t stop it or cure it. He is quite clear: law leads to greater sin and death. Why? Because the heart resents law and defies it with a shouted “I will show you – I will do what I want to do! If you tell me I can’t do something, that is precisely what I WILL do!” The answer is in the heart – a heart overcome by the love of Christ and His Spirit living in us and teaching us how to love others as He has loved us. Parents: teach your children God’s ways. Parenting isn’t about being a friend to your children – it is hard work, it is meant to be hard work because it is the most serious work you’ll ever do. Grandparents: teach your grandchildren God’s ways. And let’s live God’s way ourselves so the little ones can see that it works and is the best way to live life! Will you rise to the challenge? PRAYER: How desperately we need individual and collective transformation of our hearts, Lord! Please, we need you to change us before we destroy one another! In Jesus’ name, Amen. This entry was posted in Culture, Historical, In The News, Life and Death, Rants and tagged change, heart, law, values by Galen. Bookmark the permalink. Excellent message, Galen! I will pass this on. Best, Nancy L.
What a Christ centered powerful word of reality and truth! America desperately needs this message from the pulpit, media, educators and politicians! America as a nation and people are sound asleep. Our only hope is a Holy Spirit Awakening Revival to sweep across the nation into the hearts of every individual. Thank you for this beautiful timely word and the courage and boldness to express it! May the King Of Glory richly bless you. Thank you, Carolyn, for your note and for reading DayBreaks! You are very gracious! I’ve not had anyone else say that they’re having a problem, so I rather suspect that it might be your browser. Does it happen all the time? Thanks for reaching out…and for reading DayBreaks!